All our private label jewelry and giftware products are available in a wide range of materials and finishes. We offer a wide variety of custom metal stamping products, parts are die struck in brass, steel or aluminum. Our expert toolmakers craft custom tools to transform your idea or artwork into a finished product you would be proud to deliver to your customer. We also offer a full range of castings from white metal, zinc die-cast and pewter. Gold ‘N’ Things guarantees lead free white metal castings will pass all Consumer Product Safety Improvement Requirements. An alternative to stampings and castings is photo etched brass, available in a range of gauges, allowing for a much lighter product. Along with the basic barrel gold plate & nickel plate, rack gold plate & nickel plate, we also offer a wide variety of plating finishes. Because of our close association with local electroplaters, we are able to supply additional plating finishes, including copper, rhodium, platinum, brass, brass ox, silver ox, and satin gold. Hand polishing and custom engraving can also be incorporated into your product. Epoxy coatings, stoned epoxy, silk screening, pad printing, baked enamel spray paint and powder coating. All of these finishes can be found in an array of colors. 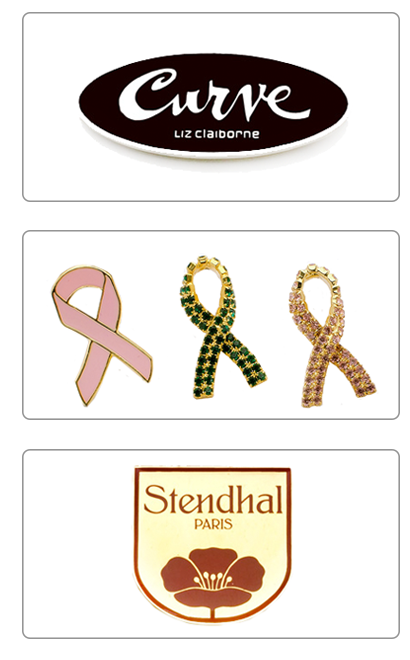 Check out our products page for examples of our lapel pins, awareness ribbons, key tags, badges and buckles.